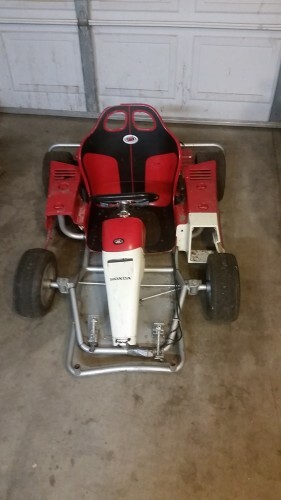 Found this by accident on craigslist got it home Friday night and by Sunday night we where riding it and drifting it on the wet street. 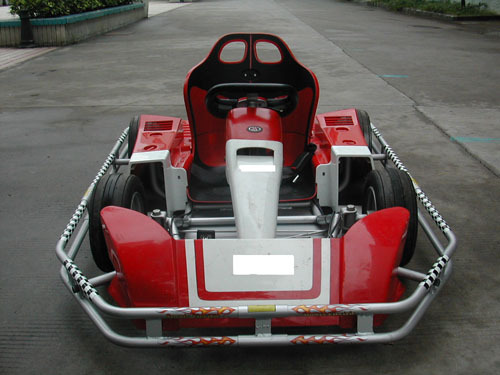 Now I am looking for a cheap-ish plastic or fiberglass gokart seat. 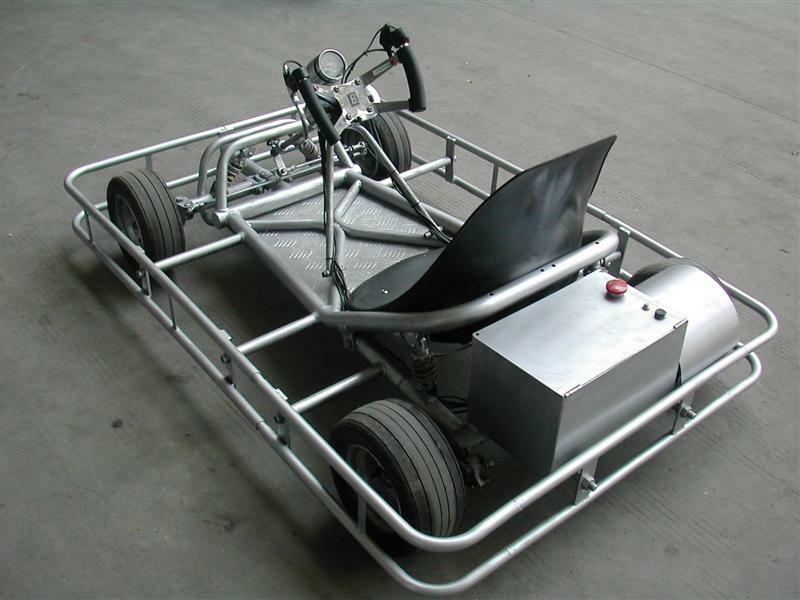 The original one is tiny for my 220lb frame, and would also like to find a front wing for it. Even a broken wing that I can repair or make a mold of would be perfect if anyone happens to have one taking up space. Now for pics! and once I repair the flat tire I will post video! Last edited by Quinc on Fri Dec 04, 2015 1:22 pm, edited 4 times in total. GPS'd her at 22mph! I think she has more juice in her but I ran out of road! (I have about 100ft to play on) Also has no problem drifting on the dry pavement. Last edited by Quinc on Thu Nov 12, 2015 11:01 am, edited 1 time in total. 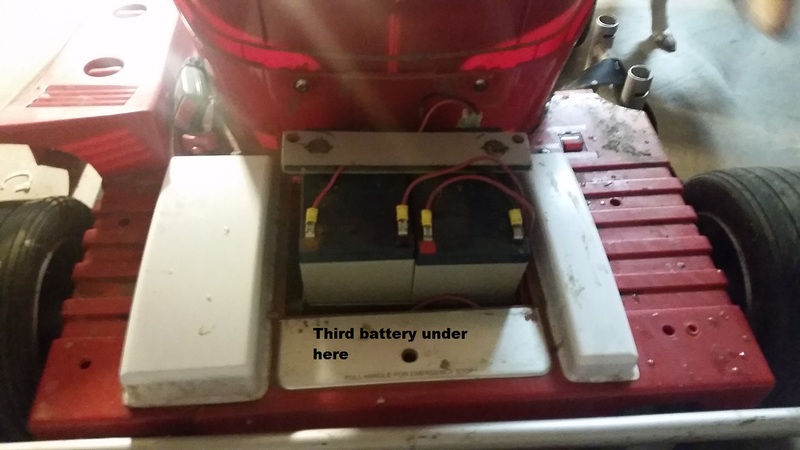 Added a 5th battery for 60volts and 4500rpms. Was able to hit 29mph! 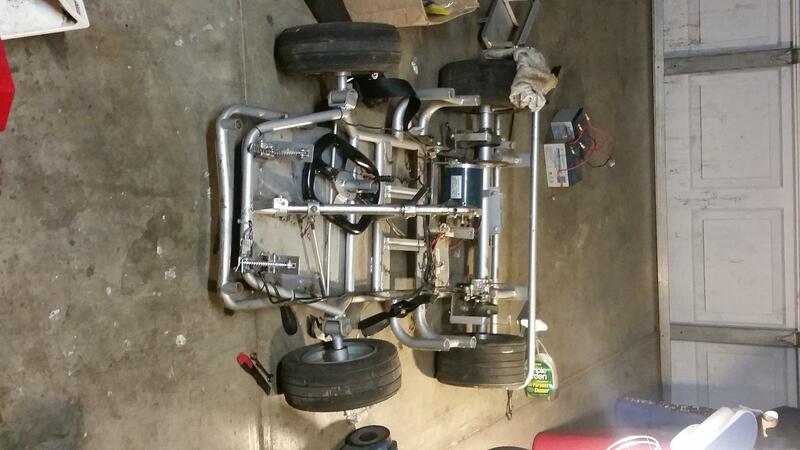 Wow the cart on the bottom is awesome with suspension front and rear but what's up with the apparent emergency disconnect behind the seat? I just picked up a minimoto. What is the model number of the Nilfisk motor you are using? I'll see if I can find one. 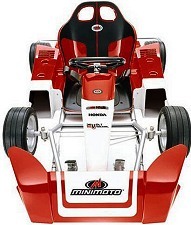 I want to make this one to ride myself so my boy and I can have fun together. What controller are you using? Power wheels Lamborghini Countach Orange PPG Paint, 12V upgrade with 22Ah battery and 2 speed shifter, LED lights and custom laser cut lenses. Any industrial motor will work. Find one that is .75-1hp and 24-48v. Nothing special about the Nilfisk other then it was the cheapest I could find at the time. 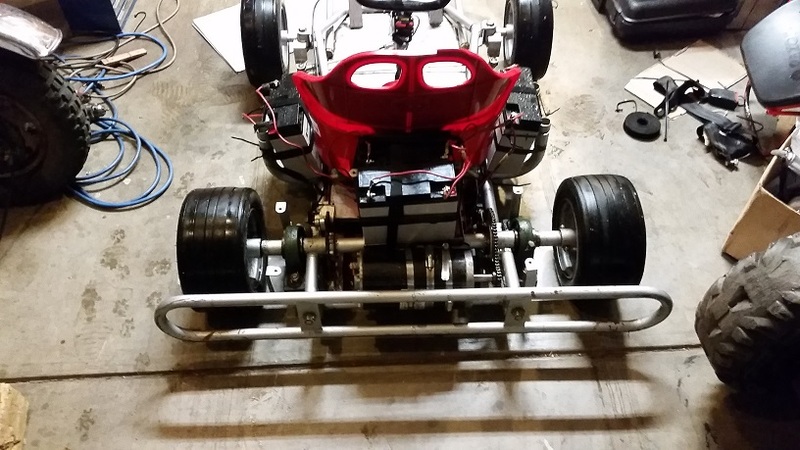 [need help on wiring, picked up a Minimoto go kart a few years ago, am finally trying to get it running. Problem I have is that the wiring connections aren’t complete, can you post pictures of where the cable that comes out of the steering wheel the one that is zip tied to the buzzer, where do I connect those? 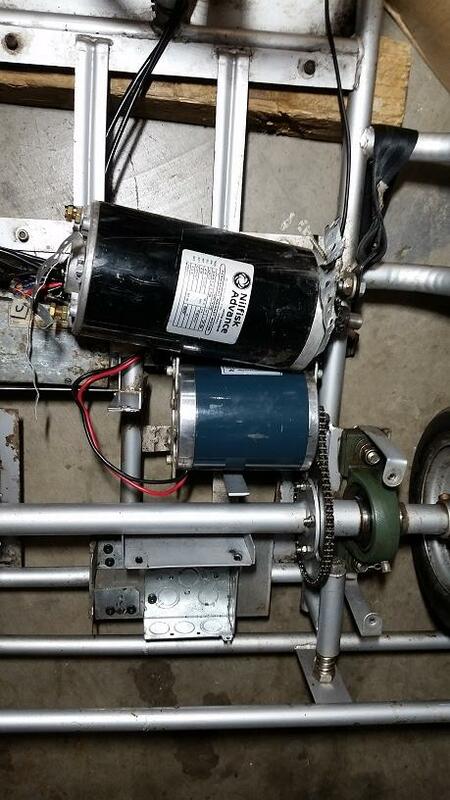 So, I got the motor to spin using the accelerator pedal, only spins forwards though, I still got the cables coming out of steering wheel not connected, can anybody help? I am no longer using the stock wiring/controller. Check out tncscooters and monsterscooters. I Believe one of them has a wiring schematic.